Likely, you know lead—a heavy metal and chemical element featured on the periodic table. However, what you may not know is that lead can create a homeopathic remedy called plumbum metallicum. 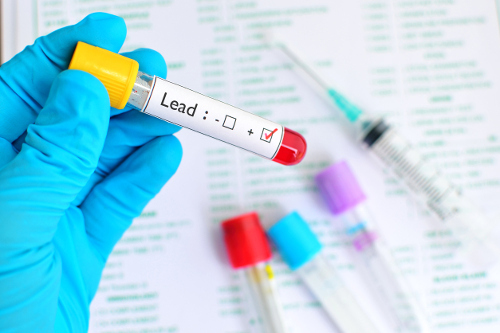 Although lead toxicity is a major health hazard, homeopathic lead, on the other hand, has many beneficial health benefits. According to the homeopathic principle “like cures like,” when lead is highly diluted and made into a homeopathic remedy, it negates its harmful effects. As a result, homeopathic plumbum metallicum will treat neurological conditions, cramps and muscle weakness, constipation, arteriosclerosis, and Dupuytren’s contracture. Read on to discover more about plumbum metallicum, and its various uses and health benefits. Homeopathic plumbum metallicum comes from a common lead ore called galena. Lead ore is commonly found in Australia, the U.S., Europe, and Africa. However, going back throughout ancient history, lead is thought to be the first metal produced by man. In fact, the British Museum has the most ancient piece of lead on display that dates back to 3,800 B.C. The Chinese are recorded to have produced metallic lead since 3,000 B.C. The ancient Romans also used lead to make water pipes, hairpins, the lining of baths, and tokens. In medieval times, lead was used for making tanks, coffins, cisterns, roofing, gutters, and even statues and ornaments. The toxicity of lead was not recognized until the 20th century. Lead poisoning symptoms include spasmodic and uncontrollable bowel pain, abdominal pain, and wrist drop. As a result, lead is now banned in paints to prevent children from being poisoned by chewing on lead-based toys or crib paint. It was also phased out from gasoline due to fear that it may impair the mental development of children. Homeopathic lead is made from extracting pure lead, and finely grinding it until it becomes soluble in alcohol. It is then succussed and diluted. The result is a homeopathic remedy that contains virtually no traces of the actual substance. The 19th century U.S. homeopath Dr. Constanine Hering had proven plumbum metallicum along with other homeopaths such as Dr. Carl George Christian Hartlaub and Dr. Charles Friedrich Gottfried Trinks. The results of the findings were published in the Encyclopedia of Pure Materia Medica. Studies even prove the effectiveness of plumbum metallicum over a placebo, including an experiment published in Homeopathy in 2005. The inhalation of lead particles can harm the nervous system. At the same time, homeopathic lead is the perfect remedy for neurological disorders since the harmful effects of lead are negated when the heavy metal is made into the homeopathic remedy. Plumbum metallicum is used for neurological symptoms associated with multiple sclerosis and Parkinson’s disease, including progressive paralysis, cramping of the muscles, and tremendous heaviness of the legs. The person will also experience localized neuralgic pain with neuritis, and they have a problem lifting their arms. Other symptoms may include muscle weakness, trembling, and spasms. The person’s joints may be rigid, and movement is slow between spasms. If the sensory nervous system is affected, there may be vision loss and a loss of feeling, which means that they will not feel external sources of pain like pinpricks or heat from an oven. These symptoms may also occur after a stroke with possible pain or paralysis in the limbs. Plumbum metallicum is also used for neuralgic pain that appears suddenly and will radiate in all directions or shoot from the toes to the hips. Symptoms will worsen from movement or at night but will improve from warmth or pressure on the affected area. In homeopathy, the remedy profile is considered a good indicator to help determine whether homeopathic plumbum metallicum is the best fit for you. The profile for plumbum metallicum has an association with psychological factors like apathy, restlessness, timidity, depression, and anxiety. The emotional traits may even begin during childhood. Children best suited for the remedy are also emotionally unstable and restless with a weak memory. Adults that respond best to plumbum metallicum have a tendency to be self-destructive, self-centered, and have a strong sense of order. Plumbum metallicum is also administered when the person has a reduced ability to express thoughts, memory loss, difficulties in perception, and a loss of physical flexibility. What are the other health benefits of plumbum metallicum? The homeopathic remedy is also used for tissue-hardening conditions like arteriosclerosis, and Dupuytren’s contracture—a disorder that affects one or both of the hands. The homeopathic remedy is considered the main antidote for muscle atrophy and abdominal cramps associated with aluminum toxicity. Plumbum metallicum is also a constitutional remedy used for diabetes. Homeopathic lead may also be recommended for vaginismus, constipation, cramps, and muscle weakness. Let’s take a deeper look at some of the other key health benefits of homeopathic lead. Plumbum metallicum is a key remedy used for spasms, trembling, and weakness of the muscles that feel tired and heavy. The person will feel like the eyes are being pulled back into the head, and wrist drop may be a problem due to weakness in the wrist muscles. A cramp is considered a specific type of muscle spasm. Plumbum metallicum benefits cramping, especially when colic pain feels as though a string is drawing in the abdominal wall. Abdominal pain will also radiate to all parts of the body. Insomnia will also result from cramping. Symptoms will improve from hard pressure, rubbing, warmth, or bending over backwards. On the other hand, symptoms worsen from movement or touch. Plumbum metallicum is used for constipation and colicky pain. There is a constant urge to have a bowel movement, but the person often only passes black and small ball-shaped stools. They will also experience painful urine retention and a sensation that feels like the navel is pulling into the backbone, and this can lead to further symptoms. Symptoms improve by applying firm pressure to the abdomen, warmth, and massaging the abdomen but worsen from fasting or at night. Dupuytren’s contracture is a hand deformity that will form over many years. Plumbum metallicum is considered one of the top remedies for the prevention and treatment of Dupuytren’s contracture. In the condition, the tendons or tissues of the palms or fingers become shortened and thickened. Knots of tissue will form under the skin, and will eventually create a thick cord that may pull one finger or more into a bent position. Also, either or both hands may be affected, and the affected fingers cannot be straightened completely. The most commonly affected fingers include the ring finger, pinky, and middle finger, which makes everyday activities like shaking hands or putting on gloves more difficult. Massaging the affected area will improve symptoms, but trying to grasp smooth objects will make them worse. Arteriosclerosis or hardening of the arteries, is the leading cause of sickness and death in the U.S., as it accounts for 50% of all deaths. Plumbum metallicum is used for arteriosclerosis caused from pressure in the chest with difficulty breathing or shooting pains. Other symptoms include anxiety in the chest, palpitations, trembling, sighing, muscle atrophy, paralysis, constipation, abdominal cramps, paranoia, dementia, silent depression, memory loss, and chronic kidney disease. Symptoms worsen from exertion, touch, open air, and at night. Where do you find homeopathic lead? Plumbum metallicum can be purchased online or found in the supplement section of the health food store. The remedy will come in liquid or pellet form. You can also get homeopathic lead directly from your homeopath if they feel the remedy is best suited for your mental, emotional, and physical symptom picture. Your homeopath will also likely have plumbum metallicum on hand to help treat the health problems you came with them to treat. As mentioned, homeopathic lead is often used for neurological conditions, cramps and muscle weakness, constipation, arteriosclerosis, and Dupuytren’s contracture. Your homeopath will be able to suggest the best potency and dosage of plumbum metallicum, which is why it is a good idea to make an appointment with a homeopath. At follow-up appointments, your homeopath will also be able to tell you when it is best to change the remedy, potency, or dosage. Signorini, A., et al., “Classical and new proving methodology: provings of Plumbum metallicum and Piper methysticum and comparison with a classical proving of Plumbum metallicum,” Homeopathy, July 2005; 94(3): 164-174. http://www.ncbi.nlm.nih.gov/pubmed/16060202. “Plumbum Metallicum,” Home Remedy Central; http://www.homeremedycentral.com/en/homeopathic-remedies/homeopathy/plumbum-met.html, last accessed September 1, 2016. “Homeopathy Plumbum met. Lead,” Herbs2000; http://www.herbs2000.com/homeopathy/plumbum_met.htm, last accessed September 1, 2016.